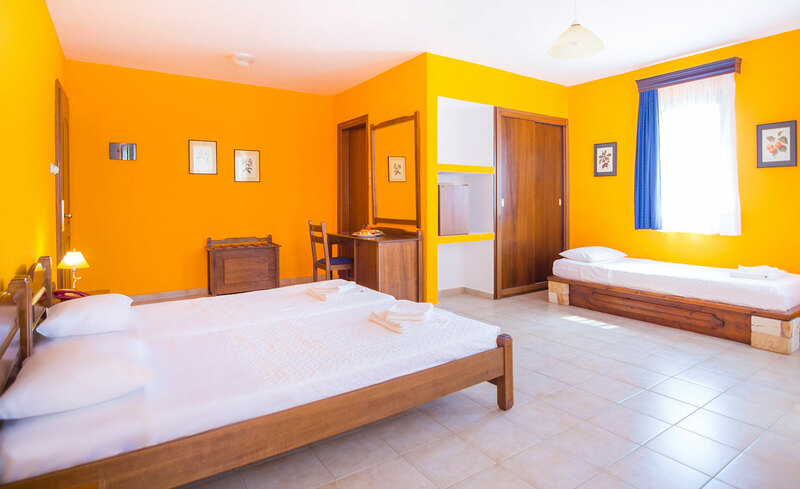 In main building, you can find the Eco Double Rooms. They are located in the first floor, and are suitable for maximum 3 persons. From the window, they have mountain or garden view, although no balcony or veranda are available, that’s why they are of a discounted price. Inside, they come with 3 single beds. Guests can reach these rooms only from stairs. 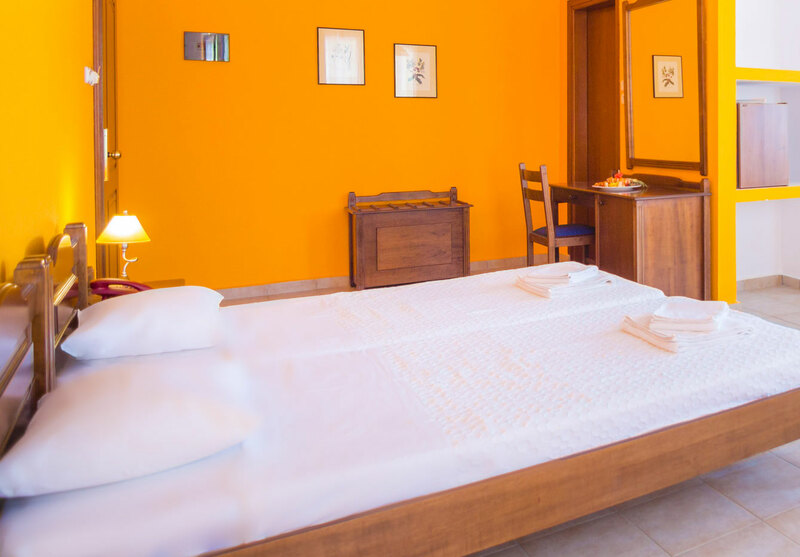 All Eco Double Rooms are equipped with bathroom with shower and hairdryer, closet, air conditioning, cable-satellite TV with movie and sport channels, minibar, coffee facilities, direct dial telephone line, safe deposit box, bathroom amenities, pool towels and slippers. The guests of the room will enjoy daily maid service and turn-down service. Non-Smoking rooms are available.